Want to ensure the health and happiness of everyone in our community? Enrich our lively arts scene? Support the education of our young people? 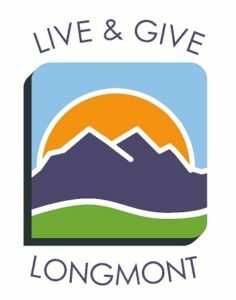 Live & Give Longmont is our chance to come together on one extraordinary day (TODAY, Sept. 26) to celebrate our collective spirit of giving and provide seed funding for nonprofits and projects that help our community. Imagine! is a Live & Give Longmont participating organization. You can help kids and adults with developmental disabilities enjoy all that Longmont has to offer, while they build cooperative skills! Imagine! 's Out & About participants are in Longmont for day camp, after-school, and weekend activities! About 75 people enjoy the Longmont Rec Center, bowling at Centennial Lanes, the Dickens Opera House, Firehouse Art, and Yaya Farms. The entrance fees for these activities add up, and your gift will help Imagine! provide even more opportunities to these venues.